We employ talented environmental professionals, GIS specialists, and business development professionals primarily based out of the HIG headquarters in Hopkins, MN. HIG provides environmental professionals with data needed to understand past property uses and determine current environmental risk for properties nationwide. Our products and services include historical maps, aerial photography, city directory research, title research services, environmental database reports and local property record reviews. PLEASE NOTE: We have a dog-friendly office. For information regarding current job openings, contact Marla Smith at marlas@historicalinfo.com. To apply for open positions listed below, please email resume and cover letter to marlas@historicalinfo.com. 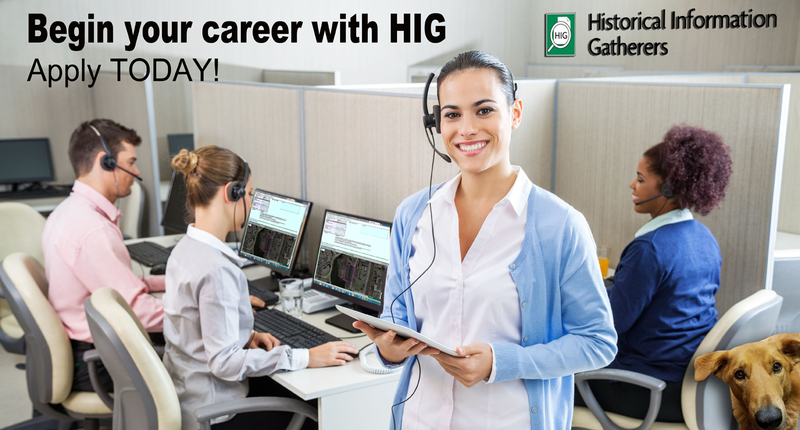 HIG is an Equal Opportunity Employer. Tasks involve research to produce sets of aerial photography, historical maps and other historical data for specified locations across the United States primarily for our environmental consulting clients. Additional tasks include using ArcGIS to georeference aerial photography and historical maps. One intern position will also include property research at city and county offices in the Twin Cities area. Additional responsibilities include documentation of data and indexing of geographic data sets. · Experience with ArcGIS software and strong proficiency with MS Office, Adobe Acrobat and graphics software. · Ability and desire to work with others in a fast-paced, team environment. · Familiarity with historical documents including aerial photography, maps, property records and city directories. · Recent college or high school graduates, or master’s degree candidates that can work full time, are preferred.